The Goal of Geneva Glen Camp is to provide experiences for children and youth that promote discovery of one's own dignity and worth; encourage respect for all races, creeds and backgrounds; stimulate love for and care of the natural world; develop commitments to enduring values; train youth as creative school and community leaders; and to empowering participators to live at their highest level and to enrich their home communities through what they have learned at Geneva Glen. 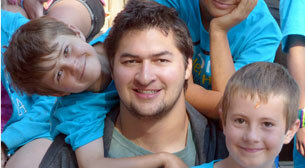 To teach and coordinate campers BBs program, maintaining standards that lead to a quality program. 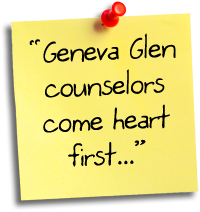 We are happy to introduce you to the many kinds of employment opportunities at Geneva Glen. As you read through these staff pages, you will learn of the different kinds of jobs, the pay, dates and a description of each. Geneva Glen Camp, Inc is a 501(c)(3) nonprofit organization. Copyright © Geneva Glen Camp Inc. All Rights Reserved. 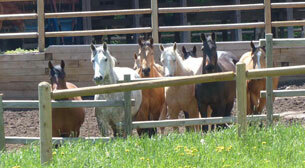 Geneva Glen Camp, Inc is an equal opportunity service provider. Geneva Glen Camp, Inc is a permittee of the PIKE AND SAN ISABEL National Forests.